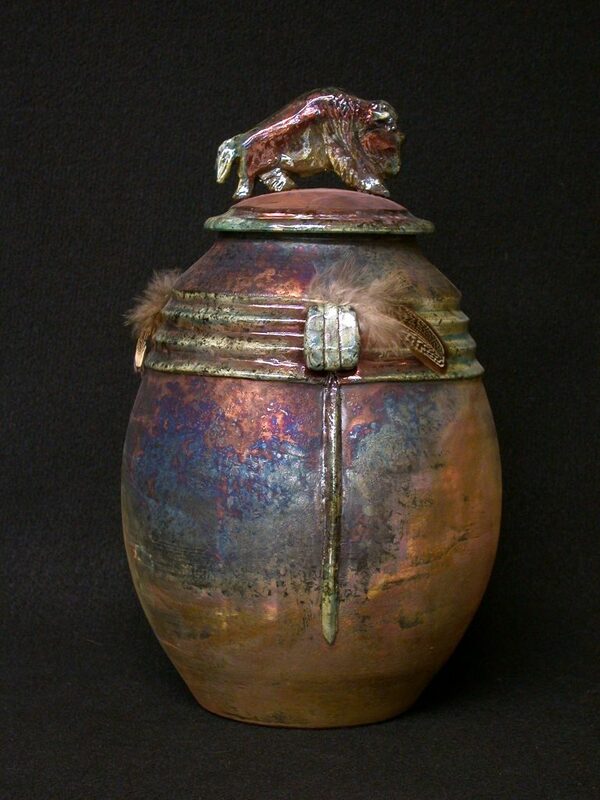 These vessels I call my Spirit Jars as they are covered containers that suggest a spiritual aspect of my subjects which are either realistic or more abstract figures. Beautiful swirling colors cross one side and some with dark mysterious hues on the other. The lid is cut in a flowing line and the “handle” finishes the piece in a playful manner. 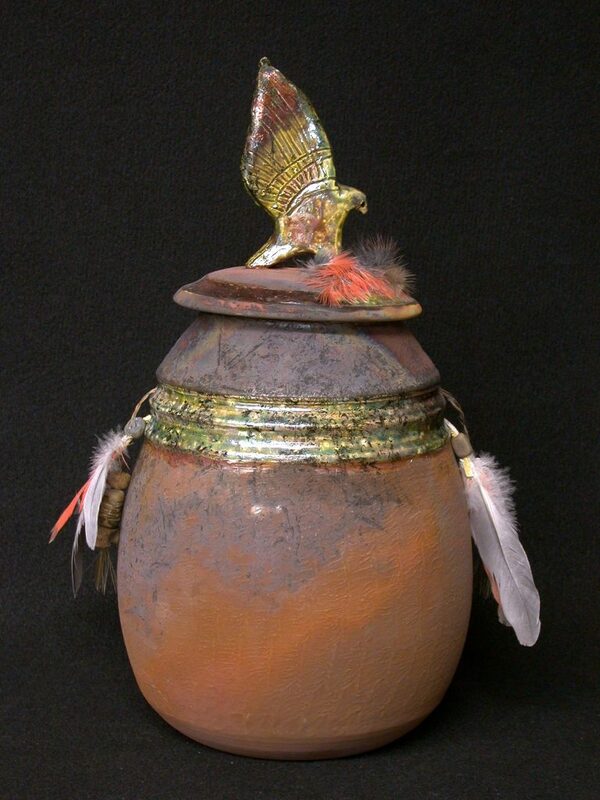 This jar was created to show off our beautiful American eagle. I have him in the midst of a strike, surrounded by (found) feathers of his catch. 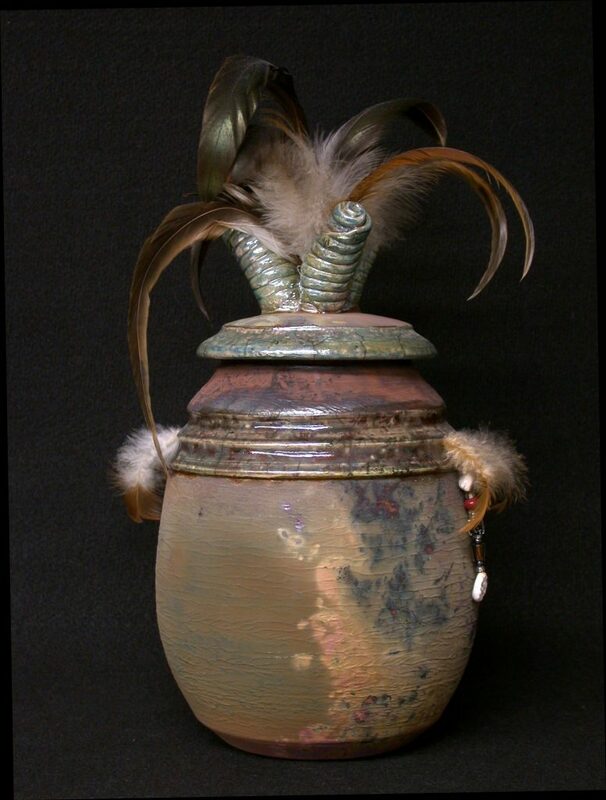 I have accented the flowing glazes on the body of this vessel with handmade ceramic beads strung on braided horse hair along with red and gray parrot feathers completing the look of this formidable hunter. Size: 13″ ht x 8.5″ dia. Size: 13″ ht x 8″ dia.